Have you ever wished that you had named your website something else? It may be that when you began your online presence, you had envisioned something else with your website, and now the name of your website doesn’t quite fit with the direction you are heading. In my case, you can reach my PLR website through Buy-PLR-Products.com(the original domain name), but my website is evolving to become BuyHealthPLR.com, upon the advice of a trusted mentor. You can watch my Vlog #2 below to find out more, or you can continue to read below. Initially, when I had picked Buy-PLR-Products.com as a name, I was considering SEO optimization. It was a good term that I found using Google Keywords, however only the hyphenated .com version was available. I bought that domain name a few years ago, and never started really doing anything with it until the start of 2012. Now, I’ve realized that the hyphens can be kind of “bulky” when telling people the name of my website. i.e. “This is Kim of Buy-dash-PLR-dash-Products.com. As well, the domain name does not truly reflect that my site is devoted to health and wellness PLR. So when it was first suggested to me that I should change my domain name, my first concern was that I not lose the links and the customers who have come to know my site as Buy-PLR-Products.com. So, the answer to this was to park the new domain name, BuyHealthPLR.com. Now whether customers type in Buy-PLR-Products.com or BuyHealthPLR.com, both domains take you to the same site. Try it for yourself, if you’ve never done this before. In the interest of time, I will end this post here. However, in my next post, I will show you the easy steps to park a domain or add-on domain name. That way, if you want to change your domain/website name, you too can do it. It’s not too late! What about you? Have you ever wanted or needed to change the name of your website to reflect better what it’s about? Kim that’s a great idea! You really have to consider whether you want a brandable name or an SEO name or a mix of both if you can. It usually depends on what the purpose of your site is. Most times you have to be creative anyway because most great domain are gone, gone, gone (or cost a fortune)! Yes, so far the name change has been good! It’s so much easier to say! 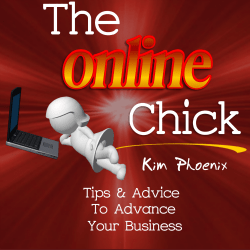 Kim, good thinking as well to consider the affiliates as you move to a domain more in line with what you do. The main domain could actually be good as the “behind the scenes” hub for all your active PLR sites if you plan on building more. That way you’re only managing the one site when it comes to payments, products, etc.